In the 1980’s when we lived in Texas and our children were young, we drove to Padre Island for the Thanksgiving holiday. We camped in the dunes and boiled shrimp on the beach for dinner — forty years later, that remains my favorite Thanksgiving ever. My mother used to put a huge effort into Thanksgiving dinner — the amount of work was exhausting. She believed in “presentation” and out came the linen tablecloth and napkins as well as the china, the crystal and the silver — which of course had been polished ahead of time. Dinner was planned for early afternoon so she was up well before dawn, getting things started. One year, the turkey took a little longer to cook than anticipated and there was a lot of imbibing during the wait. 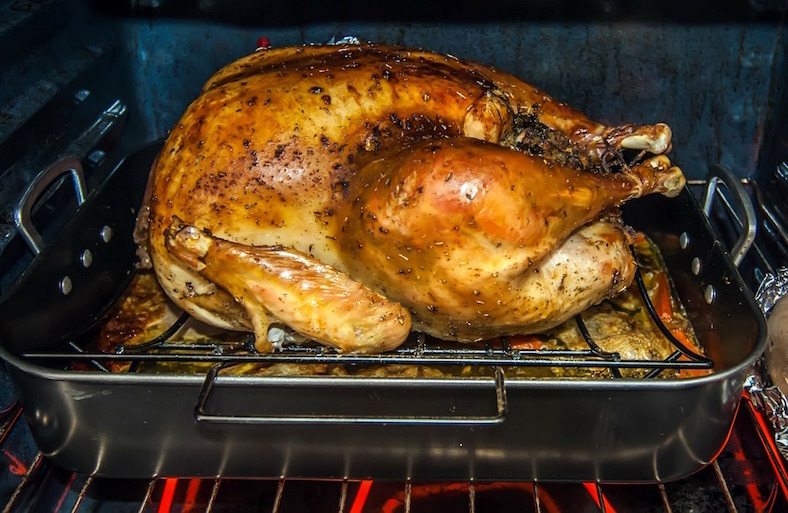 When my mother and sister went to take the turkey out of the oven, the rest of us heard all kinds of hilarity from the kitchen — we smiled at the fun they were having, putting the finishing touches on things. I later found out that they had collapsed in laughter after dropping the turkey and watching in horror as the whole thing splatted on the kitchen floor. They picked it up, put it on the platter and served it with straight faces — everything had taken place behind a closed door and the dinner guests were none the wiser.